If anyone knows how to road trip, it's Dan Schwartz. The Good Old War guitarist recently hit the road in support of his new instrumental side project, Danny Black, packing everything he'd need for the tour in his RV. 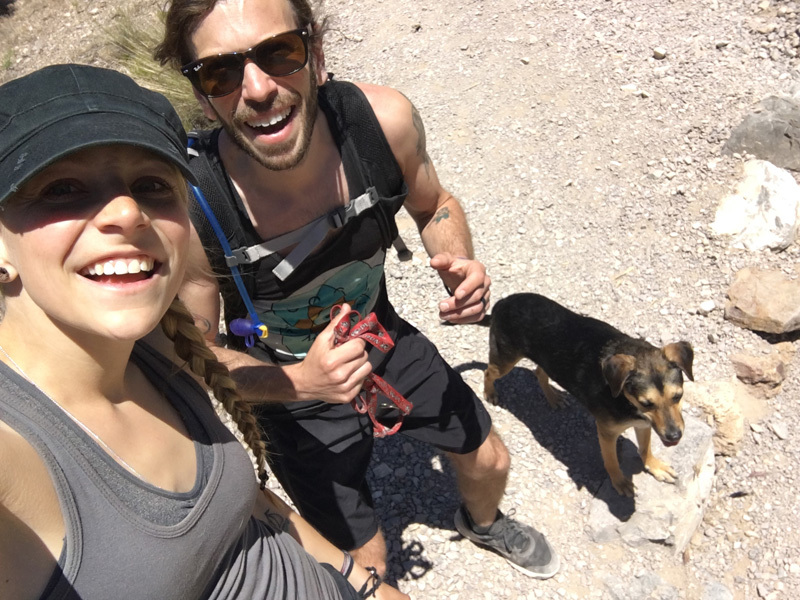 With his wife and dog as his partners in crime, the trio set out on an adventure for the books, stopping by mountain ranges, caves, and summits on their way to various venues across the country. Playing songs off his latest album, Adventure Soundtrack, for fans nationwide, it's hard to say if art imitates life or vice versa for the "Cascade" musician. 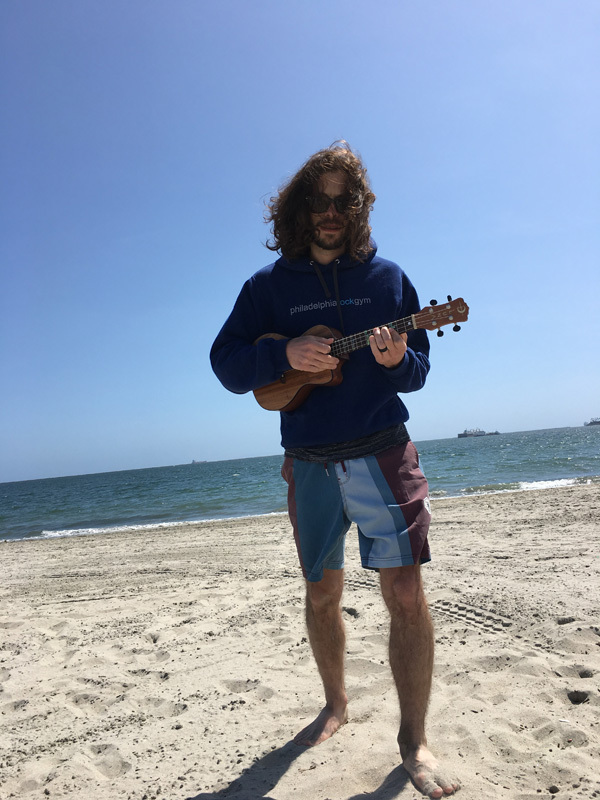 Check out a note from Dan below, peep his incredible travel diary, then Track him on Bandsintown to stay-up-to-date with all his touring news! Hi! I’m Danny Black. I play instrumental music all on guitar. Acoustic, 6 & 12 string, classical, electric, and some looping to combine them all. The music I made for my solo debut album is meant to accompany adventures of all sorts—hence the title, 'Adventure Soundtrack'. Every song has a different feeling, and hopefully every track takes listeners to a different place, and enhances their experiences. 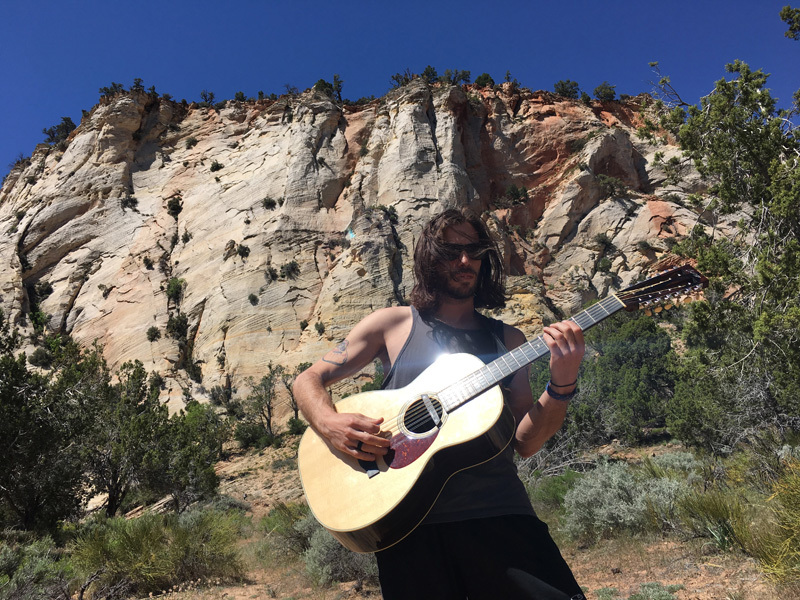 I created music to adventure to, being an avid adventurer myself. I wanted to share a few that we’ve enjoyed so far on my first solo tour. 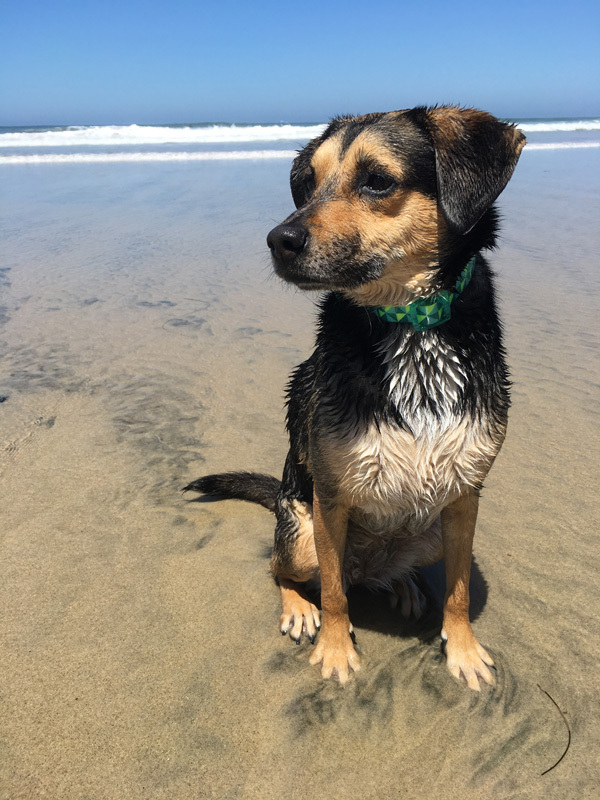 My wife Annie, pup Lila, and our RV Harvey took our first cross-country trip all together for this tour. We started in Delaware and went across the country to Los Angeles. Now we're headed back east via the southern route. Getting out and finding something unique and interesting every day we’re on the road has become incredibly important to the three of us. Annie is the tour manager and spontaneous adventure-master. 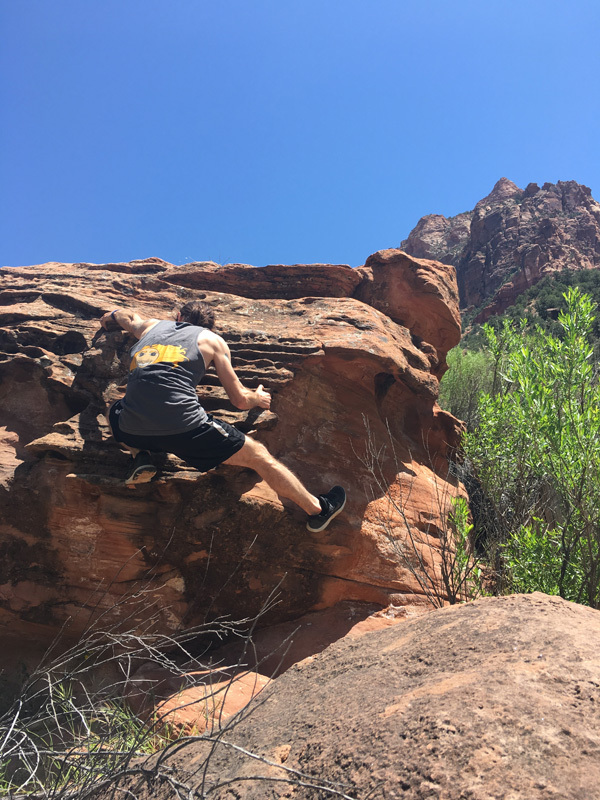 We love a good hike, trail run, or rock-climbing spot and try our best to do all we can with the tour schedule. 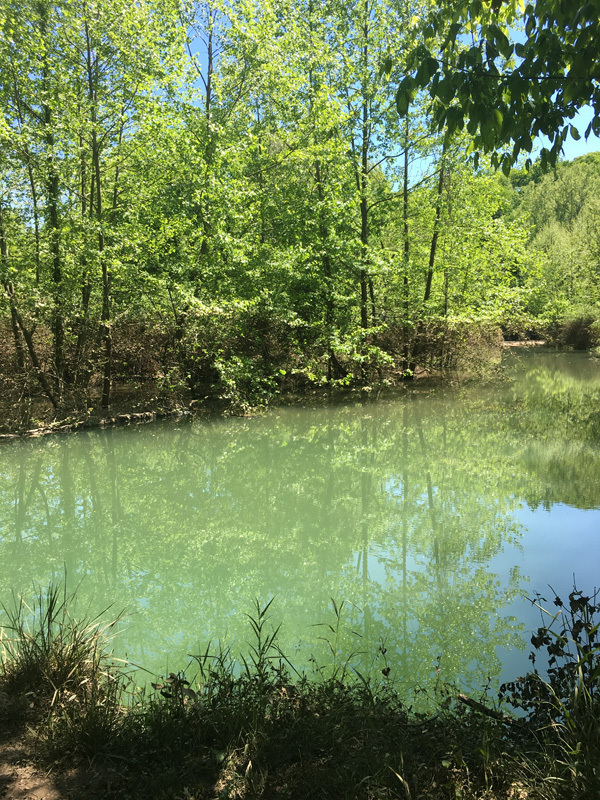 Here are some adventures that are basically all along Route 70 and then back east some of the way along Routes 8 and 10. You don't have to go too far off main roads to get out into nature. We still have a long way to go on this tour, so I can’t wait to see where this adventure takes us! When the tour started on the east coast it was really cold and rainy for a few days. 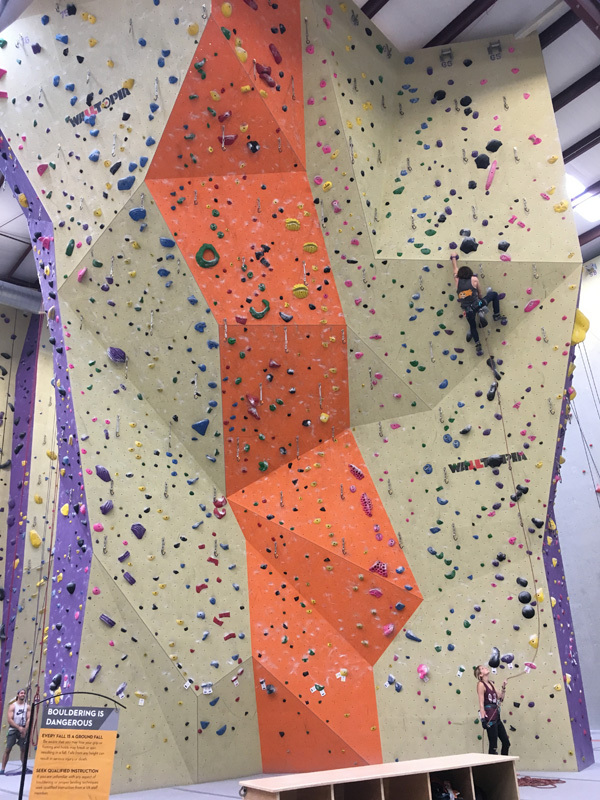 It was hard to get outside so we found a great great rock-climbing gym called Vertical Adventures in Columbus, OH. 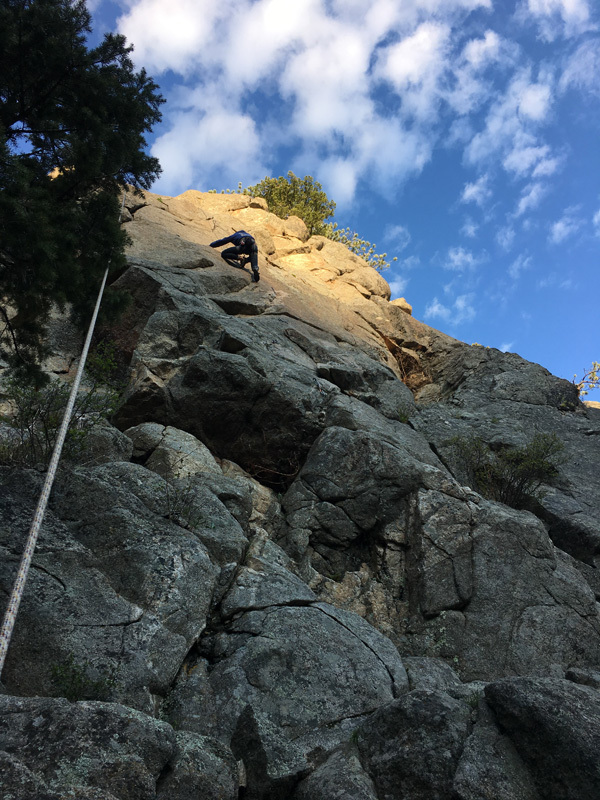 It has great route setting and super high walls—if you enjoy lead climbing like Annie and I do, it's the best. Plus, we got to visit with Annie’s sister Kristen and have a doggie play date with her two dogs, Lars and Arlo. 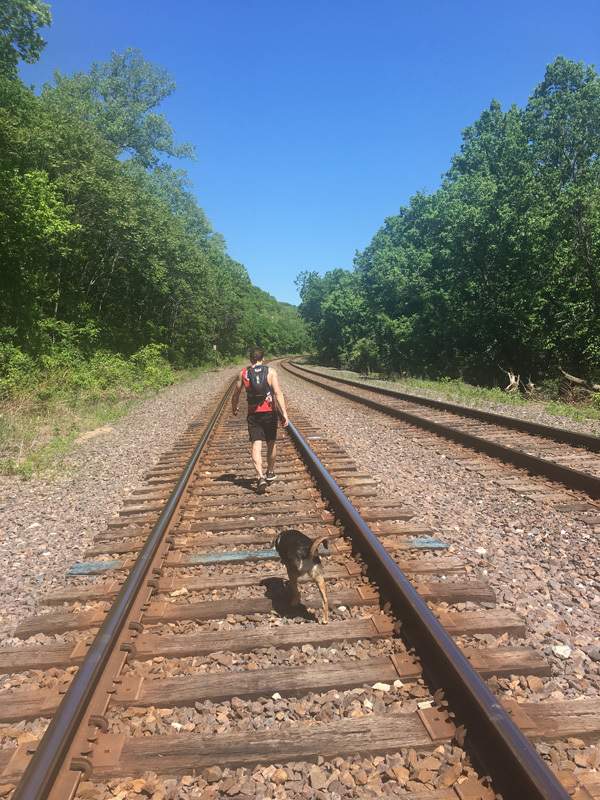 When passing through St. Louis, you might be surprised how much great hiking there is. We’ve found a few great ones and on this tour including Castlewood State Park. It’s basically in the city and yet out of the way enough that you feel like you’re in the middle of nowhere. I guess they had some floods right before we came so some areas weren't accessible, but it was so fun to hike through. Lila and I walked on some train tracks for a few as well, and she did a little swimming in the flooded playground. Getting up to Boulder, CO is always a treat. 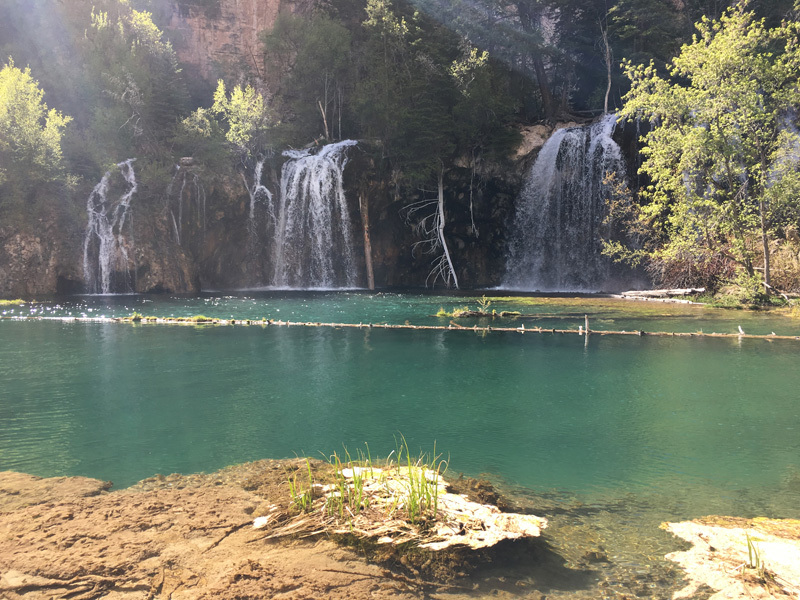 This time we found a really cool and pretty uphill hike called Hanging Lake trail. 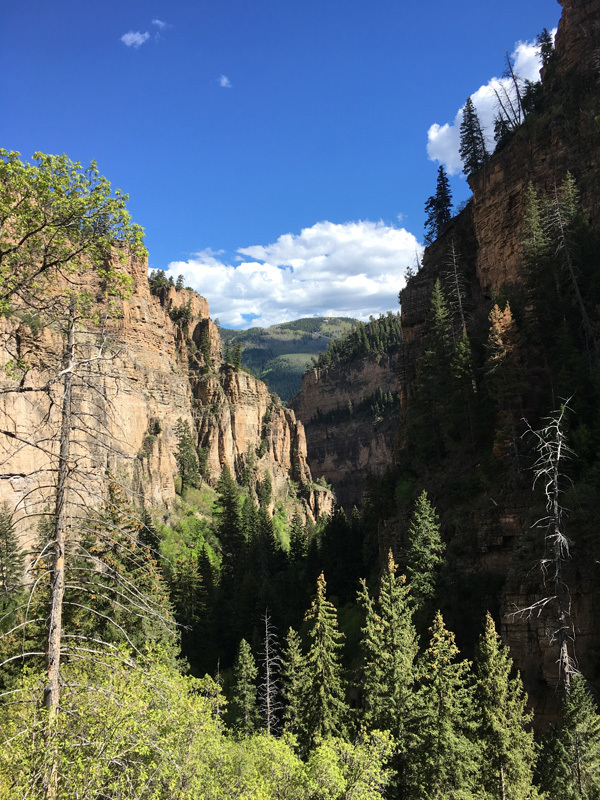 It has a series of seven bridges before you get to the top (it's worth the difficult hike). As you can see it’s truly beautiful. Colorful Colorado. Obviously we couldn’t stop there—there are too many adventures to choose from. 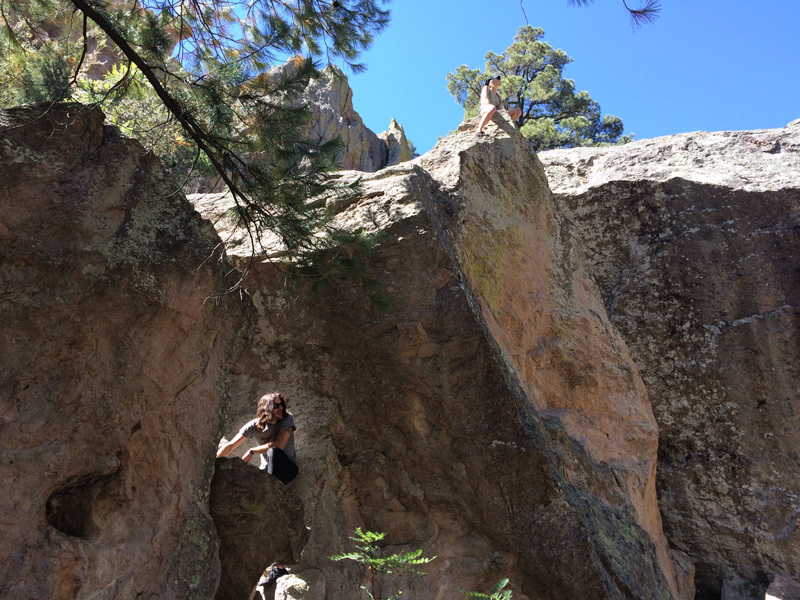 We were able to find a great little crag on a road that’s appropriately titled Boulder Canyon Drive. 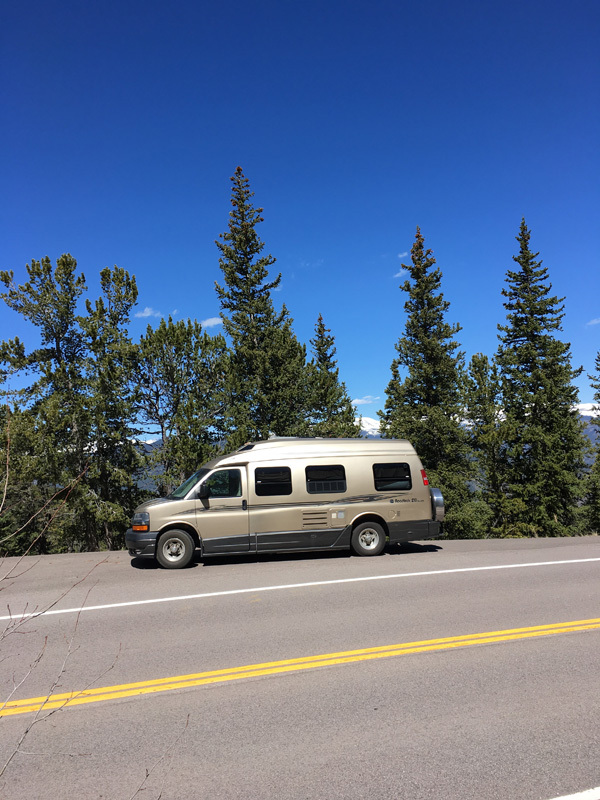 Harvey, our RV, looked particularly majestic on Mount Evans so we had to snap a shot. 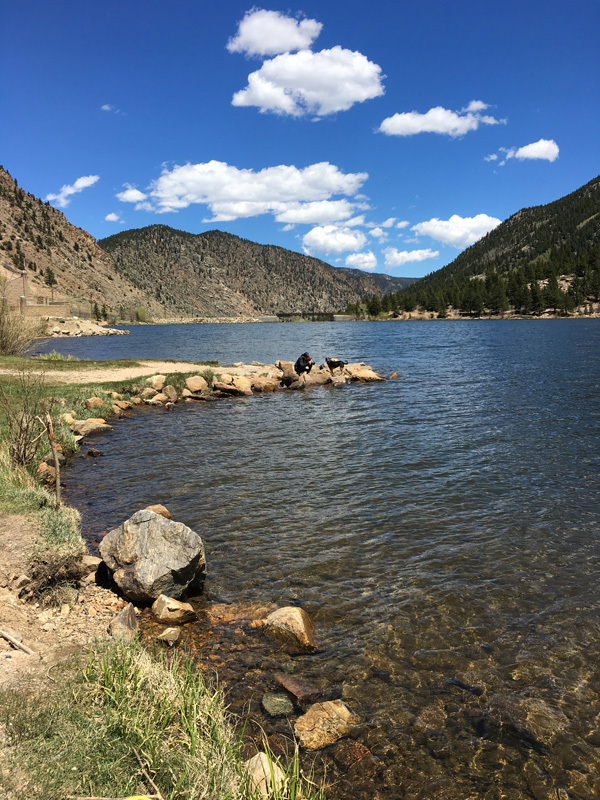 We also stopped for a little picnic in the Arapahoe National Forest, which is right off of Route 70. Utah is ridiculous. There are millions of options. 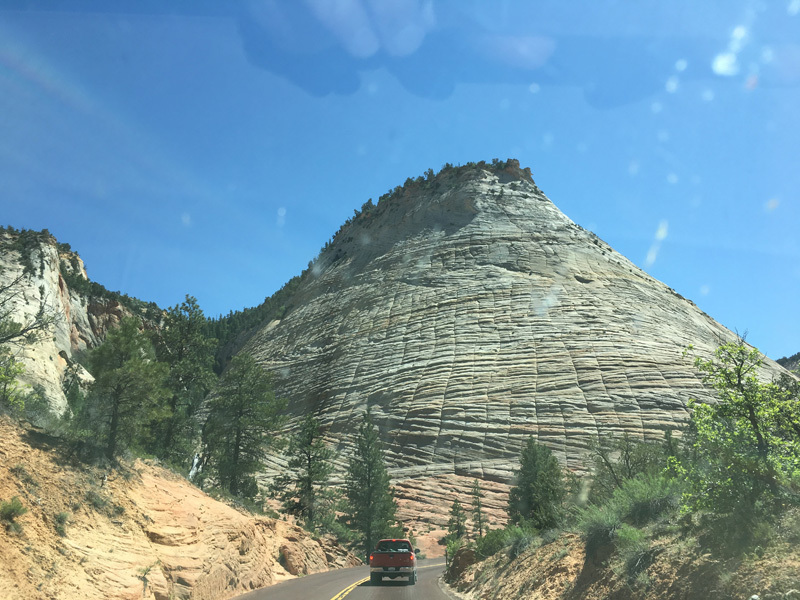 We decided to go to Zion National Park. This maybe wasn’t the most dog-friendly option because there was only one good trail we could do with Lila, but we got in some easy climbing and the trail was really beautiful. It was so incredible I had to snap a shot through our dirty windshield. 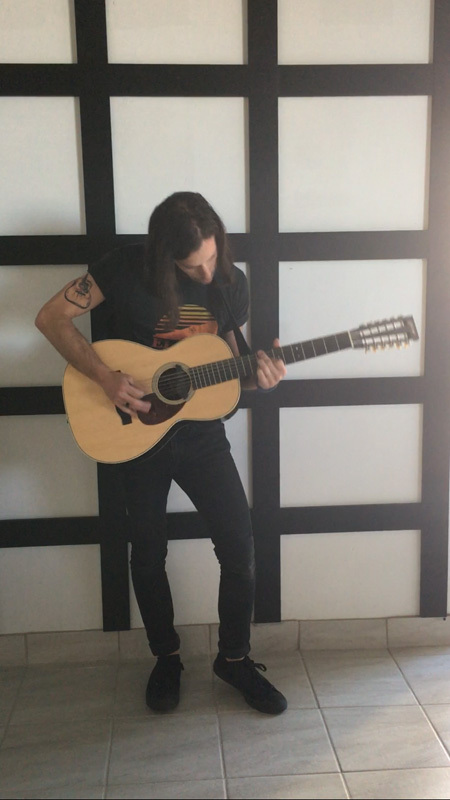 Also stopped to play my 12 string for a few minutes. That was my favorite part of that trip. 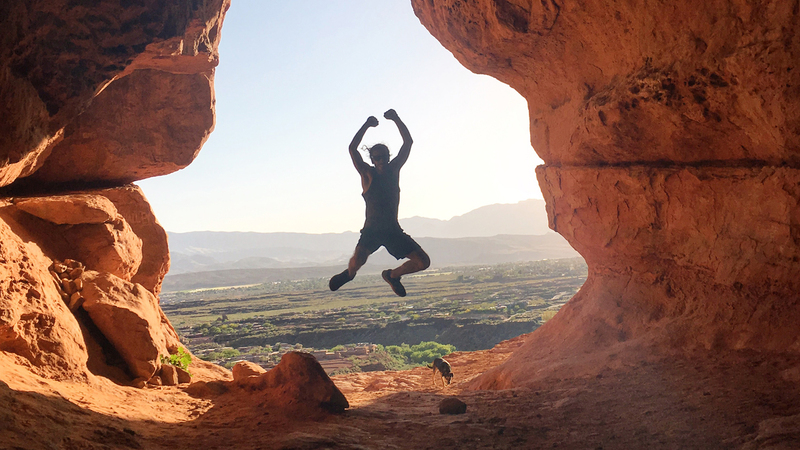 As we continued down the road we found a killer hike called Scout Cave. This is a total desert hike. Incredible mountains and terrain. It’s kind of easy to get lost but after only a couple small detours we found the cave and it was so worth it. 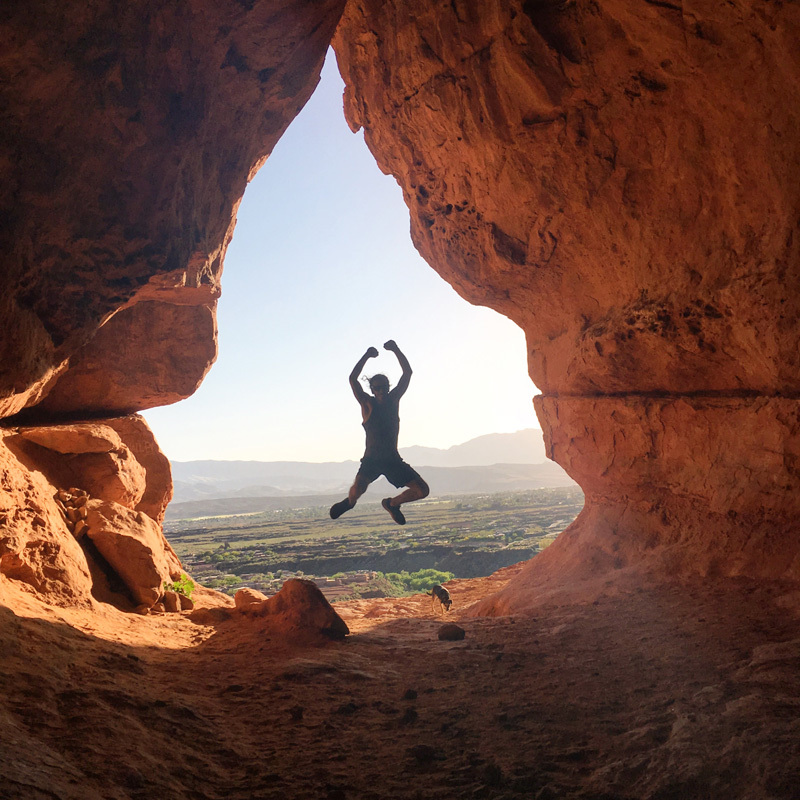 If you’re in Vegas, get right out of town and go to Red Rock Canyon National park. The hikes are incredible. There’s too many to name and we’ve been lucky enough to do a lot of them. Here’s a dorky picture of us getting a good trail run in before a long drive to LA. We had a chance to stop in Long Beach, CA between LA and San Diego. That area just rules. Makes me feel like a hippie so I busted out the uke and Annie and I sang a few songs. They have really amazing dog beaches there too. The desert outside of San Diego is gorgeous and really strikingly dry and devoid of much civilization. 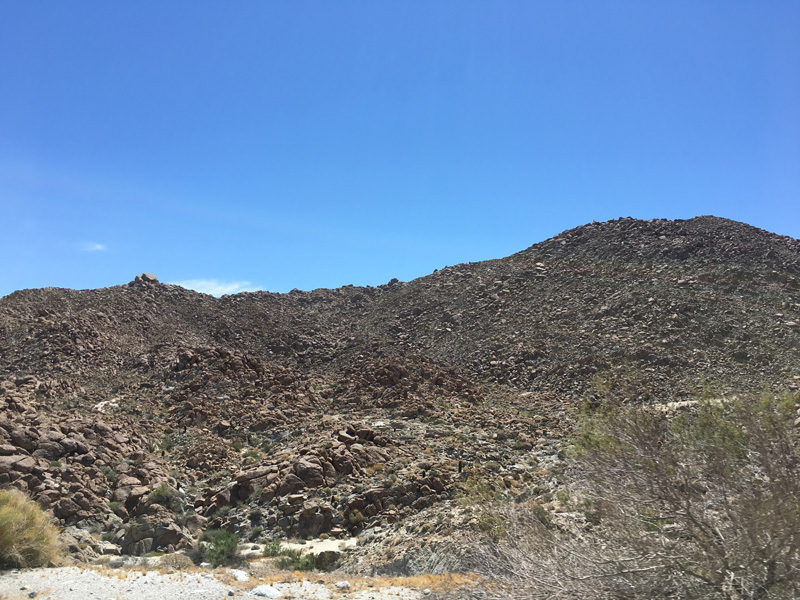 We couldn’t do much because of the heat but we stopped briefly in Ocotillo, CA for a little romp and good sweat. One of the luckiest finds on this tour was in Arizona. A place called Portal blew our minds. 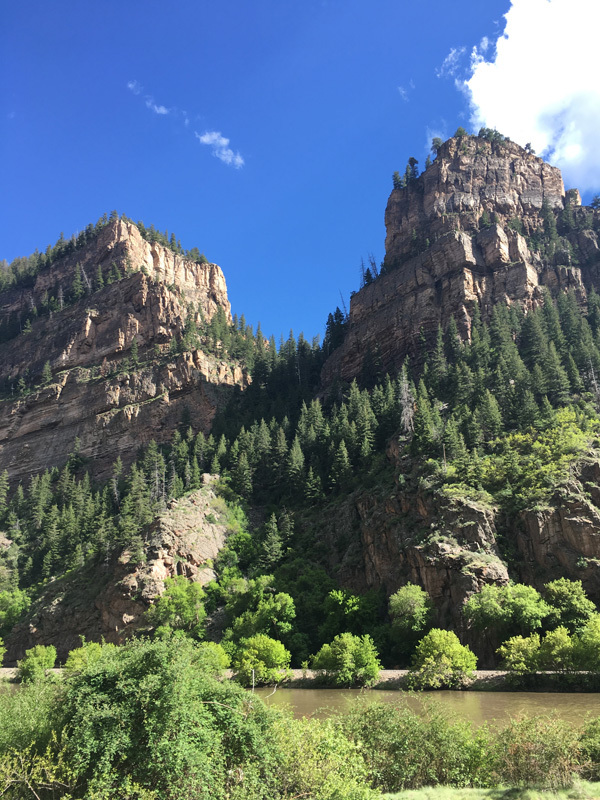 We met a super cool local who advised us to drive up to Cathedral Rock and we are so happy we did! Annie and I couldn’t help but climb up a few rocks and take in the view. Finally, I’m writing this tour diary from an incredible place called The Outpost in El Paso, TX. This is one of the greatest spots for bands to check out on the road. It’s a space built for touring acts to come and relax for a bit. They also have a "store," where everything’s free. You can get all sorts of supplies for tour and fun goodies. Lot’s of local artists and great companies contribute to this place and there’s unbelievable stuff in the "store". Their social media handles are displayed for you to share your love of their products with your followers, win, win! They even have a studio that is fully functional. I decided to play a few songs for them because I can never wait for an opportunity to play. The people who run it are true angels as far as we’re concerned and if you ever pass through El Paso on tour, you must stop here.